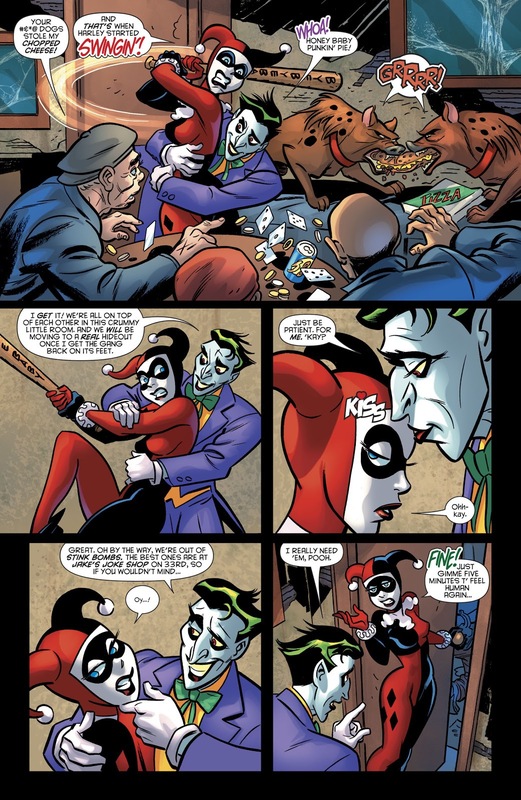 Harley goes to the joke shop and realizes that it's big enough for a proper hideout. However, it turns out that the new tenants are planning on tossing everything and renovating it for a new business. Too rich for her blood...but apparently not for theirs. Cue bat. Hi-yoooo! Also, apparently Dini might stick around for the long haul. 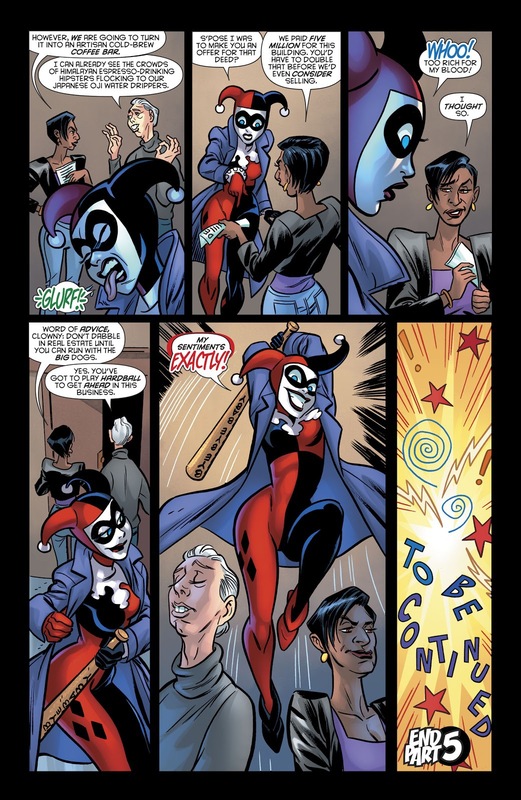 I'm curious to see how he'll tackle modern-day Coney Island Harley.